What a wonderful world it would be if all children had access to quality, affordable medical care, regardless of their parent's ability to pay. Before the opening of the clinic in Buenos Aires, children died of dysentery, dehydration, asthma and pneumonia. Women died during childbirth. Still others died from dengue fever and malaria. Often patients waited too long before seeking medical attention. People were forced to pay nearly a day's wage in transportation just to get to a health care facility. Thankfully, since the opening of the clinic, deaths attributed to those causes have been greatly reduced and in some areas, eliminated. It seems appropriate that through the efforts of this mission and those who support it, the "Least of these", our brothers in need should be placed at the head of the table and first in line. What better way to say to our fellow man, "you are not forgotten" and "your suffering matters". The mission is located in Buenos Aires, Santa Barbara, Honduras. The clinic, (Christ's Love Shared-Community Clinic) offers services which include: general medicine, dentistry, laboratory services, labor and delivery as well as minor surgery. 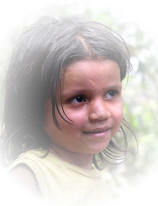 The clinic was constructed in a remote mountain range in the northwest portion of Honduras. This was in response to the overwhelming need of the poor for access to adequate medical services. It serves a highly impoverished population of over 100,000 and is the only complete healthcare facility of its kind. It is our mission to assure that dignified, quality, basic medical attention be accessible to those who have the most limited of economic resources. Over 800 people receive medical attention on a monthly basis through the efforts of this mission. The patient cost is forty lempiras or $2.05 per visit which includes a physical exam and all medicines needed to treat the illness. If the patient is unable to pay, the exam and medications are provided free of charge, no questions asked. Clients are educated as to the actual cost of their healthcare and are encouraged to participate in any way they can. This promotes a feeling of ownership and responsibility for the success of the project among the communities served and stresses the importance of eventual self-sufficiency. No medical mission would be complete if it failed to recognize major contributing factors in the disease process. Malnutrition is the number one culprit which preys especially on the young and the old, ravaging their bodies, leaving them weak and vulnerable to disease. Many diseases found in children ages 2-5 are a direct result of malnutrition brought about by a lack of food quality and quantity in the children's diets. Many children are protein deficient. Within the service area of the clinic, studies revealed that over 40 percent of all children are malnourished, affecting their growth and development, not to mention their health status. The clinic is involved in early detection of the malnourished child, providing rapid identification of children at risk. This reduces the incidence of second and third degrees of malnutrition which can leave children permanently affected in many ways. The agriculture project helps provide foodstuffs high in energy, protein and vitamins to the hungry in many different ways. May no child want for his daily bread.